The old saying that ‘content is king’ has never been more relevant, especially when you consider the abundance of retail shops and online operators active in today’s betting and gaming industry. Differentiating from the competition is already an uphill task for operators, which is why the quality of content, its availability and customer experience is increasingly important. Ultimately, it’s what keeps consumers engaged with their brands for the long-term. Across all industries, the need for fresh, quality and exciting content is very apparent, in particular within the sports betting sector. Having the opportunity to view a sporting event, whether in person at the stadium, course or track, or watching live pictures on a TV, tablet or mobile device, is guaranteed to increase excitement levels and deliver a more enjoyable betting experience. Making such content easily accessible and across all times of the day will be beneficial for operators, as it drives engagement, boosts acquisition numbers and increases retention rates. It’s why at SIS we’ve placed a great deal of emphasis on our core product offering, moving towards being a provider of 24/7 content with the launch of our new 24/7 Live Betting Channels. With horse and greyhound racing events taking place across the globe on a regular basis, displaying live pictures of the sport provides the perfect opportunity for operators to engage with their customers across all hours of the day. Visual tools such as video have already had a positive impact on the customer experience and sales figures within our industry. The casino sector has benefitted with live streams of table games, with the live casino vertical now forming 29% of all European casino gross gaming revenue, according to H2GC Data. Allowing bettors to view sporting events around the clock via the ‘Watch and Bet’ model is likely to keep bettors engaged for longer and when complemented with calls to action displayed on the screen more likely lead to them placing a bet. 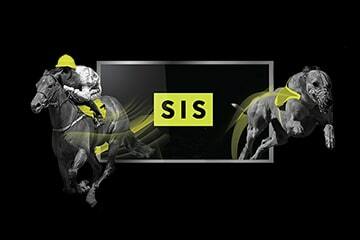 For instance, at SIS one of our leading operator partners has experienced a 25% increase in revenue using this model, when compared to the same content available under the alternative ‘Bet and Watch’ platform. The adoption of free-to-view live pictures highlights how operators can benefit from increased engagement, particularly among recreational bettors, with live sporting action encouraging them to bet on it too. With the need to offer consumers new and immersive content across every hour, a cause of concern for some is that a 24/7 model could lead to an inferior product offering. With pressure to fill schedules with content for every second, there’s a worry that the quality of what’s on show might not be such a priority. However, for 24/7 content to remain engaging throughout the day, the standard must not be neglected. It’s something that we at SIS gave serious thought when developing our new horse racing channel. That’s why we’ve invested heavily to offer a service which incorporates premium UK and Irish horse racing including 92% of UK Grade 1 races. It is complemented with exciting international horse races, British & Irish live greyhounds as well as virtual events featuring state-of-the-art graphics, all designed to offer bettors around the world the opportunity to place a bet regardless of which time zone they are in. What’s also important to consider is that the content available allows for plenty of betting opportunities to ensure viewers do not switch off. Short-form betting events, such as horse racing, drive dwell time in-shop and online, and increase betting turnover for operators. To meet changing-market trends and growing demand from our customers, SIS has launched a new 24/7 Live Betting Channel, which delivers 24/7 content. Available to retail and online operators across the globe, the channel features premium races with betting opportunities available every 3 minutes. As competition grows within the sports betting market, the need for regular betting opportunities available throughout the day will become increasingly important for operators.